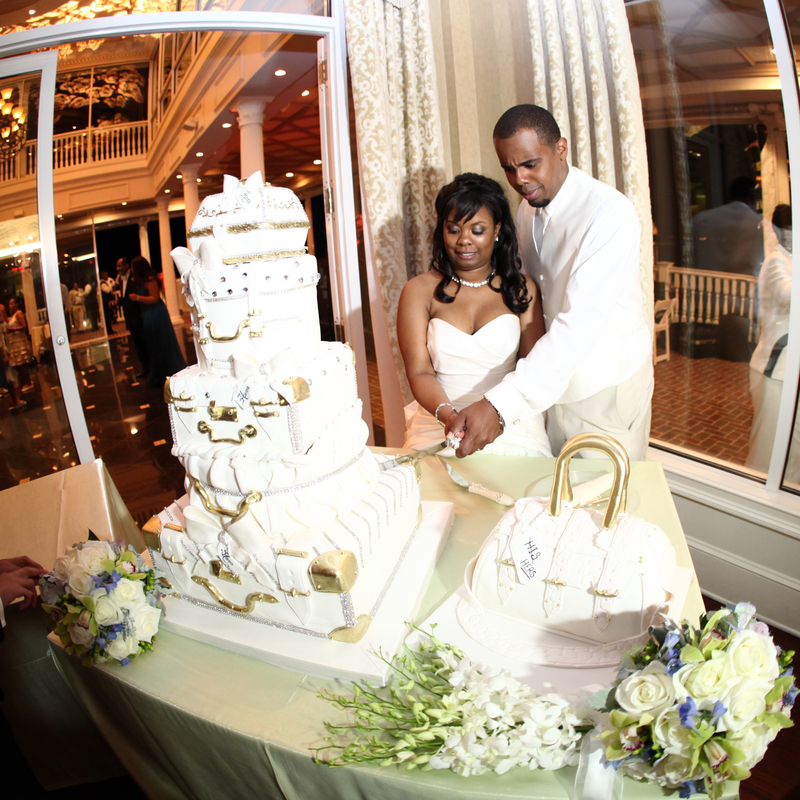 Let 'em Eat (Wedding) Cake! 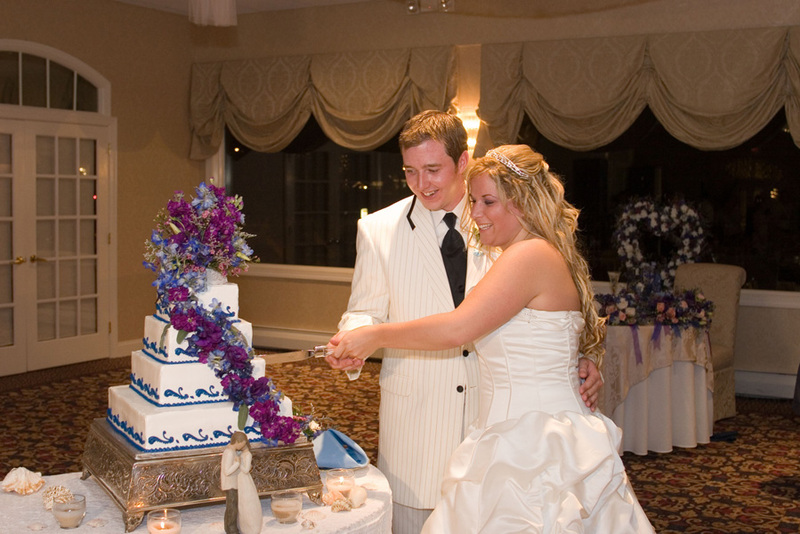 All the Best says “Planning your event should be a piece of cake!” We think the best way to display that sentiment is to show you photos of some of our clients’ wedding cakes and their unique cake toppers. 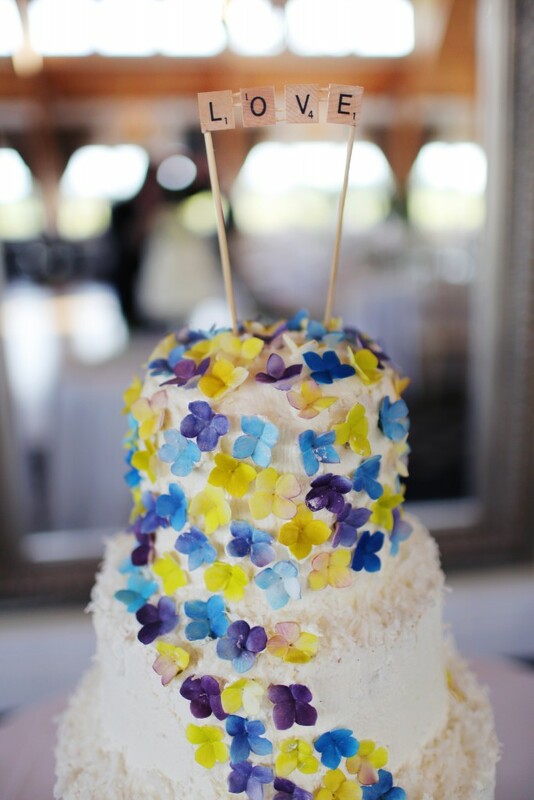 Check out our Pintrest boards Cake! 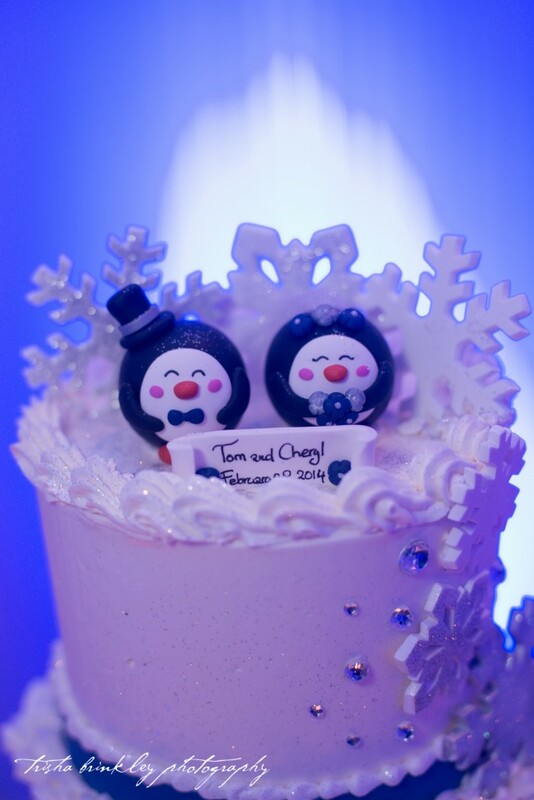 and Cake Toppers to see some more ideas. 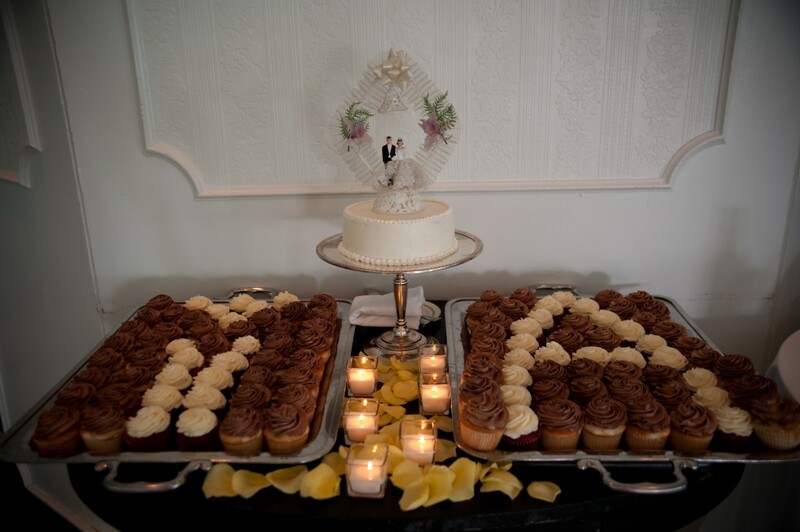 “To smash or not to smash?” That is the question…..
Brian and Mike’s delicious three tiered yellow cake with chocolate ganache and fresh raspberry puree filling featured a handmade figure of their beloved dog Maisy. Swarovski crystals were added to the topper and Maisy’s collar. 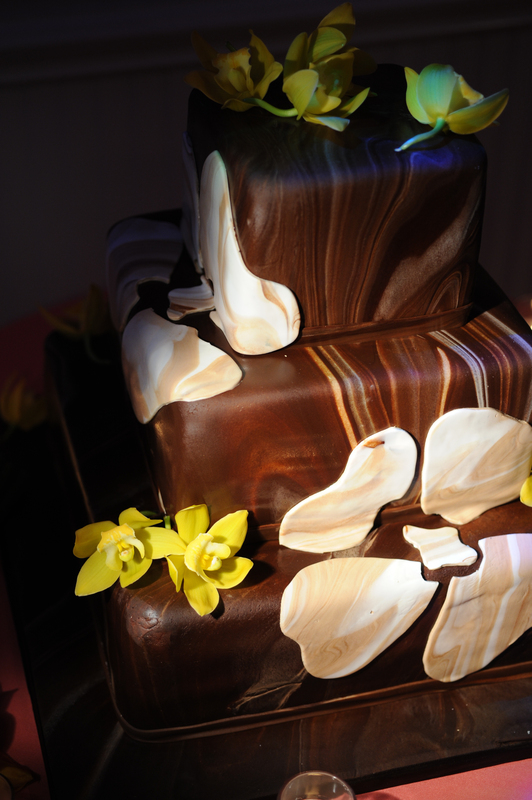 The handmade and hand painted custom log cake stand (and the cake) was done by Mandolis Custom Cake Confectionary. 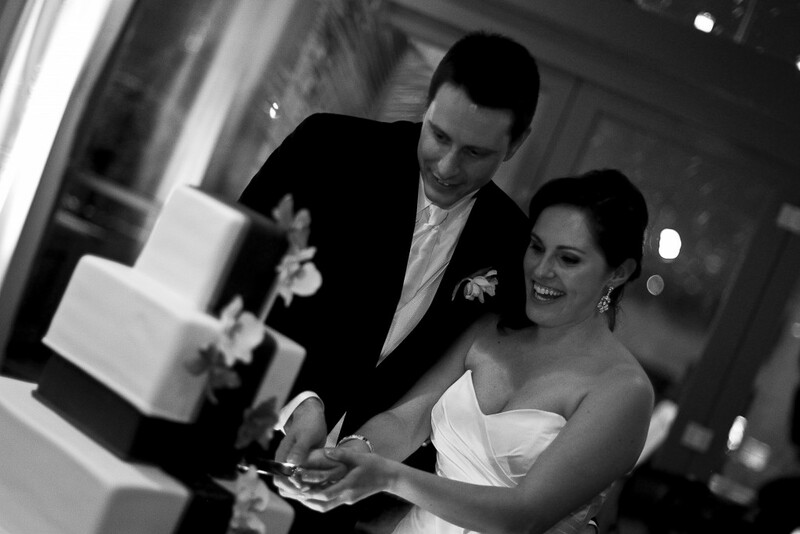 Photo courtesy of Images by Berit. 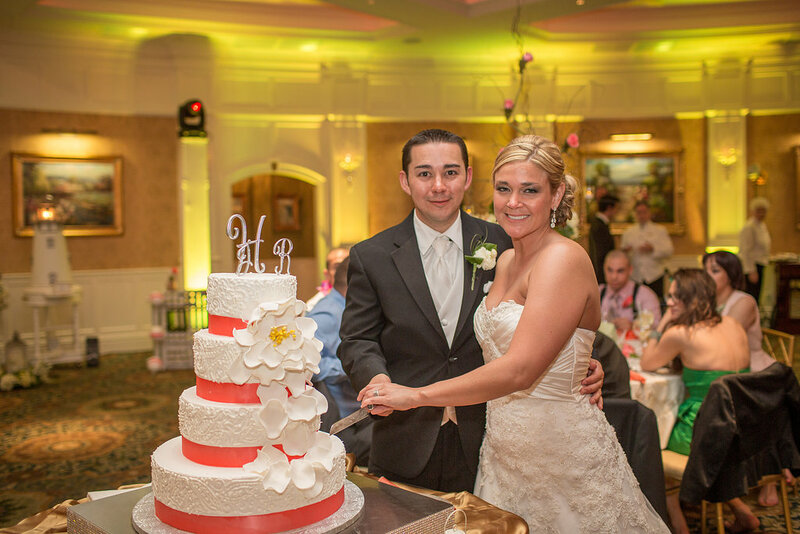 LOVE the petaled sugar flower camellias on Jessica and Rich’s cake. Photo courtesy of Endless Wave Studios. 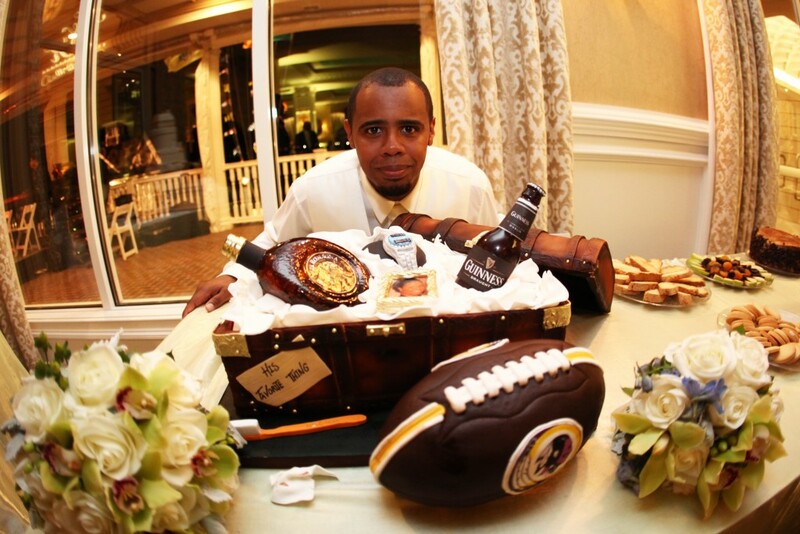 Johanna surprised Matt with a custom groom’s cake. Matt gave up buying a kayak to buy Johanna her engagement ring. 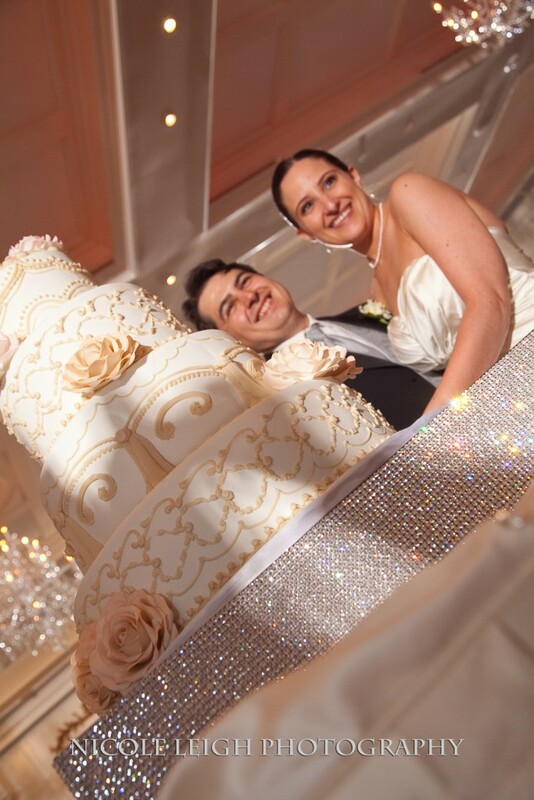 Photo courtesy of John Arcara Photography. 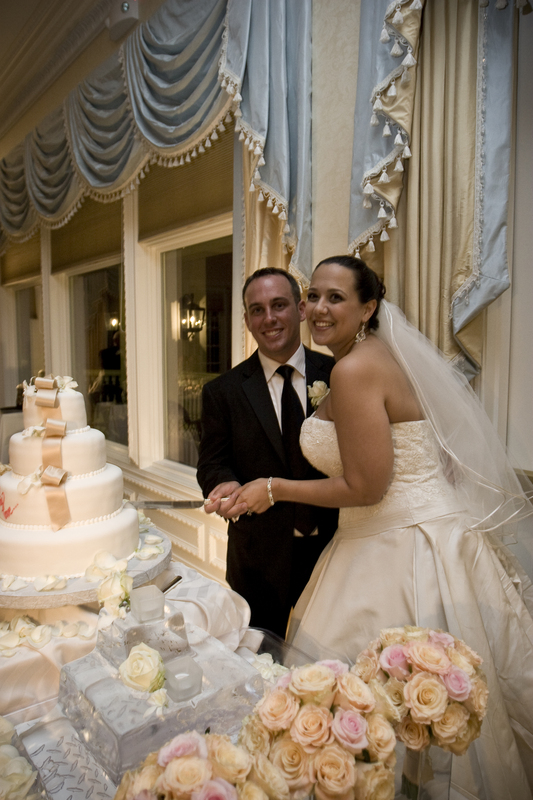 Kristen and Mike ordered their square tiered cake from Carlo’s Bakery. Photo courtesy of John Arcara Photography. 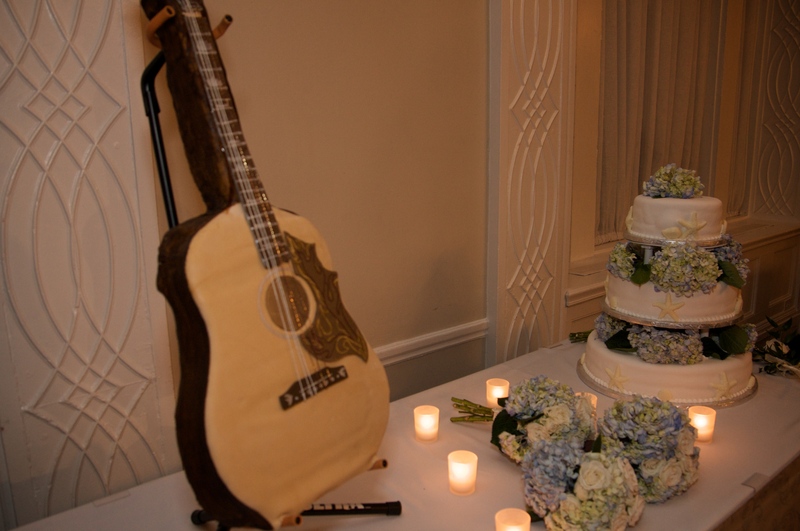 Alix surprised John with a groom’s cake made by a family friend that’s a replica of his favorite guitar (YES that’s a cake!). 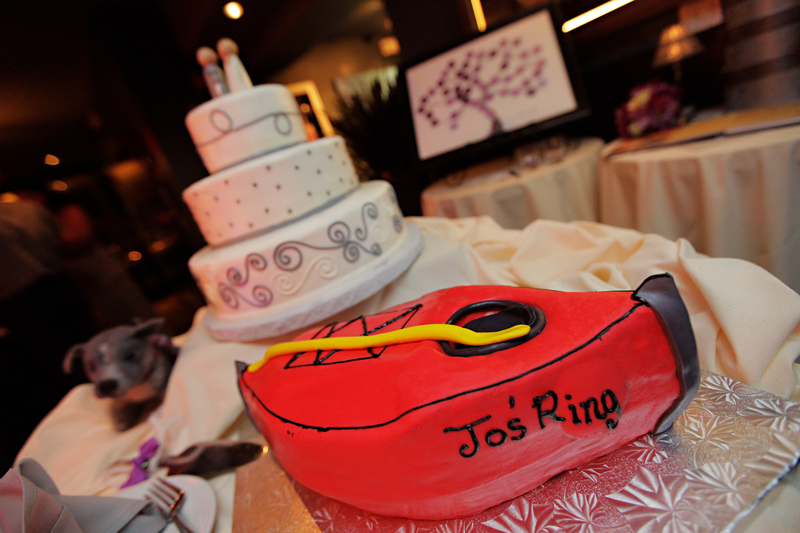 Photo courtesy of Jason Meehan Photography. 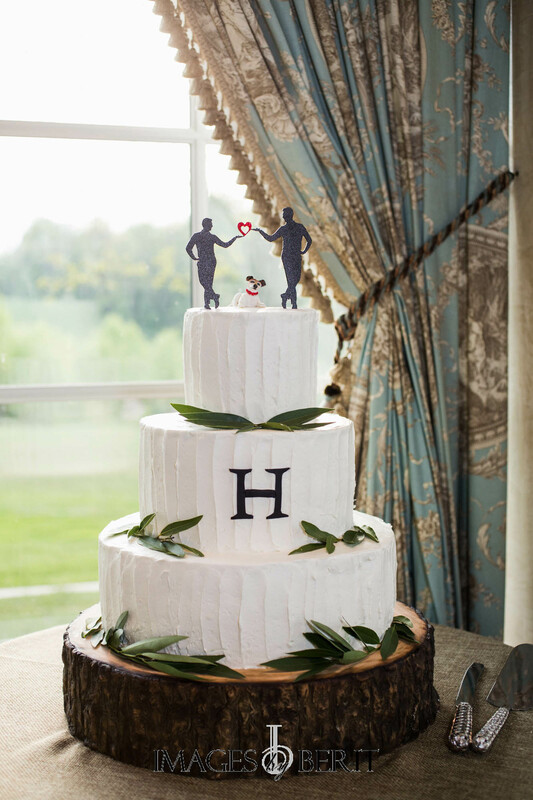 Katie and Matt’s cake featured their saying “All my Heart. All my Life” Photo courtesy of The Artist Group.